Al Aqaba is a small West Bank village located in the Jordan Valley. The village is at a watershed moment under the constant threat of being demolished. 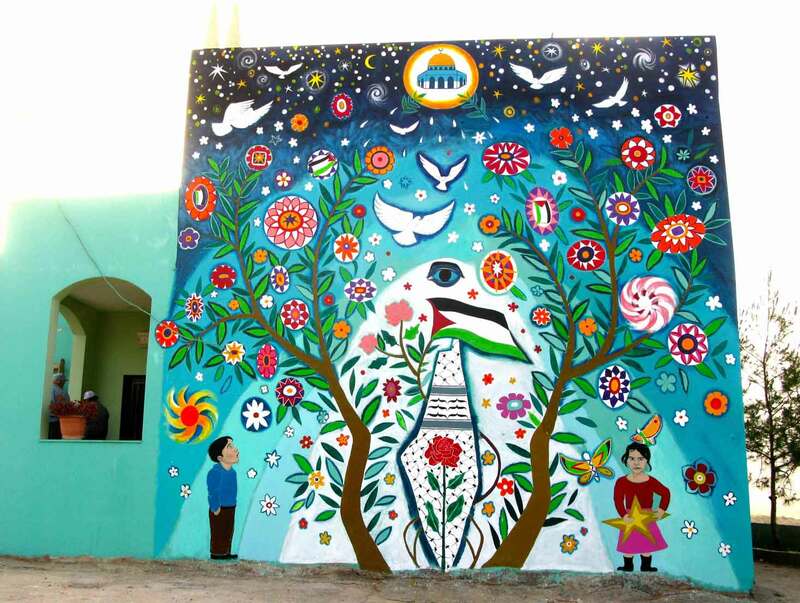 In 2015, Lily Yeh designed the mural entitled, Once Upon A Time, There Was The Land of Palestine, honoring the people’s deep emotion of trauma and loss. 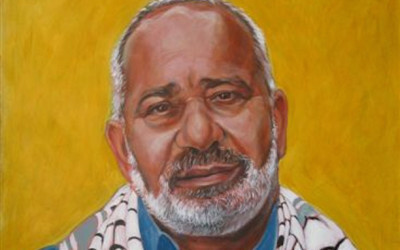 Rob Shetterly painted the figures of two children, a boy and a girl, at the suggestion of Haj Sami Sadiq, the Mayor of Al Aqaba, as the symbol of their future. 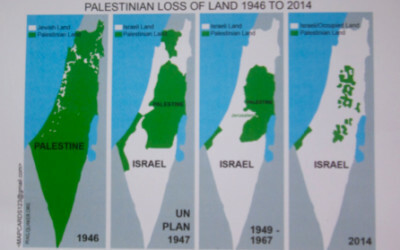 One must resist injustice, oppression, and the illegal building of settlements on occupied land. While the killing of the innocent is unacceptable at all times, one must refuse armed resistance, which invariably leads to further violence. 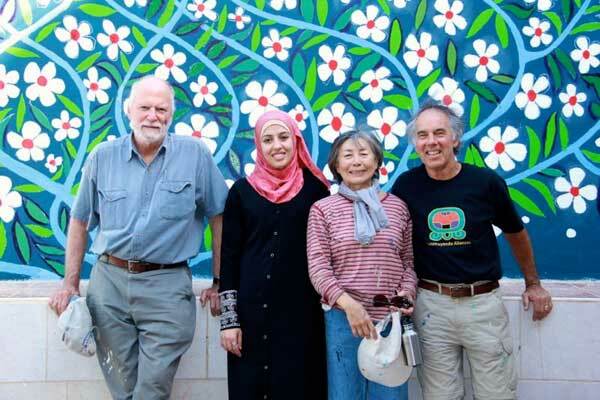 But one must resist through peaceful means – the arts, culture, economic boycott and divestment. The world needs to learn from the endurance, wisdom, and the courage of the Jewish people who have suffered for centuries discrimination, subjugation, expulsion, and mass elimination. They have not only survived but have made enormous contributions to the world in the fields of science, law, art, medicine, and humanity. Their sense of deep-rootedness in life is profound. Even in the darkest times, the Jewish people are proud of who they are, always remembering their history, and identity.